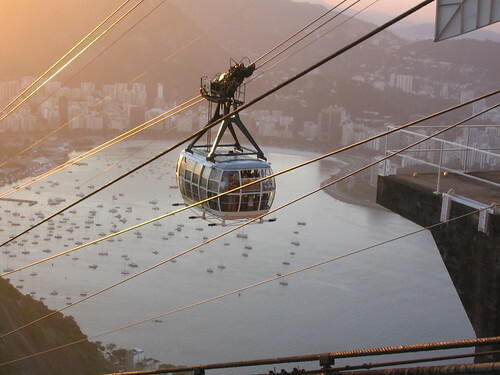 There are two minor sub-groups of CPT technology: Aerial Trams and Funiculars. Aerial Trams are like larger Gondolas. I’ll discuss this technology in greater detail later. Generally speaking, however, Aerial Trams are (relative to Gondolas) an out-dated mode of Cable-Propelled Transit. Compared with Gondola technology, Aerial Trams exhibit longer wait times between vehicles; lower line capacity; an inability to turn corners; and little potential for intermediary stations. Ironically, Aerial Trams are on average more expensive than Gondola technology despite their numerous short-comings. They are a high-cost, low-value technology. Funiculars, on the other hand, are very similar to Cable Cars except Funiculars are used almost exclusively to ascend steep inclines. In fact, you’ll often find Funiculars referred to as Inclined Rails. The incline of the vehicle is equivalent to the incline of the bottom-supporting guideway while standing and seating areas are at a flat incline relative to the horizon. Traditional trains and rail lines are incapable of ascending greater-than-10-degree inclines which gives Funiculars are decided advantage. Again, like in the previous post in the Basic Lessons series, because there has never been a CPT typology, people often incorrectly refer to Funiculars and Aerial Trams as Cable Cars. 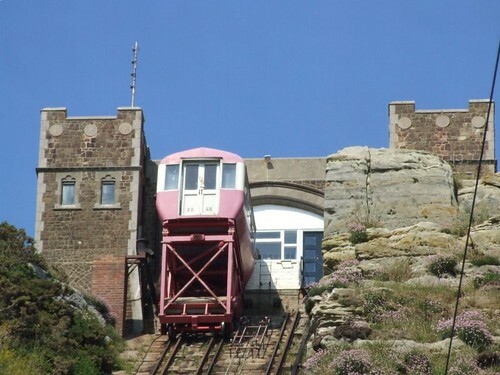 Is it possible to have an idea of the cost range for funicular to negotiate a 60m high hillside? Otherwise iIt may depend on what kind of factors?